It’s finally starting to feel a tad bit fall-like here in NYC and I am LOVING IT! 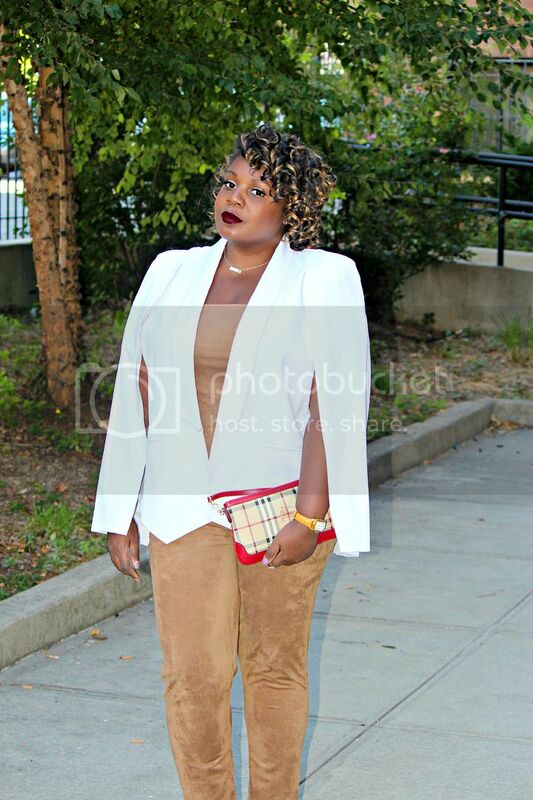 If you follow me on instagram, you would’ve seen today’s look from the StyleWatch Magazine party I attended last week. Unfortunately, I didn’t have a chance to photograph it for the blog then, but was able to do this past weekend since I wore it to a birthday dinner party on Saturday. I’m pretty much obsessed with suede, faux suede, suede like….you name it. This one piece bandeaux top jumpsuit was soft to the touch and unconfining. Underneath, I opted for my extrafirm shapewear for a smooth tummy area. 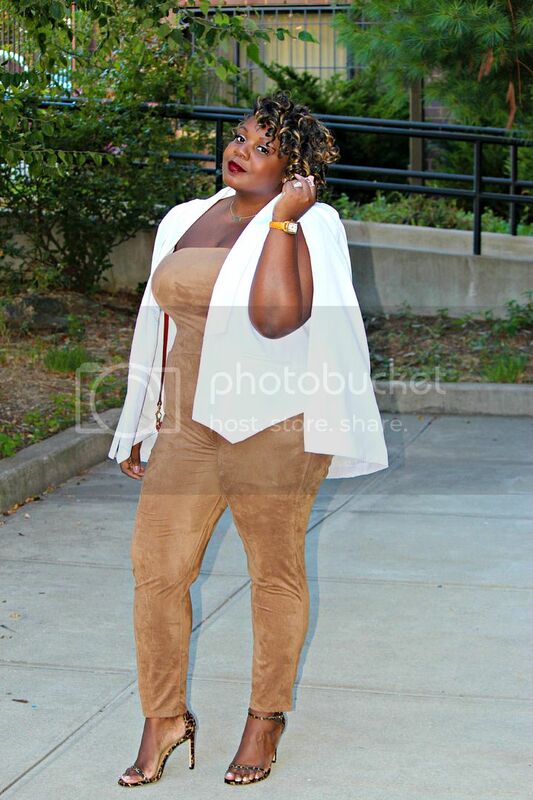 I threw over my cape blazer for a dramatic effect in a crisp white color. I already have my eye on this longline version too!